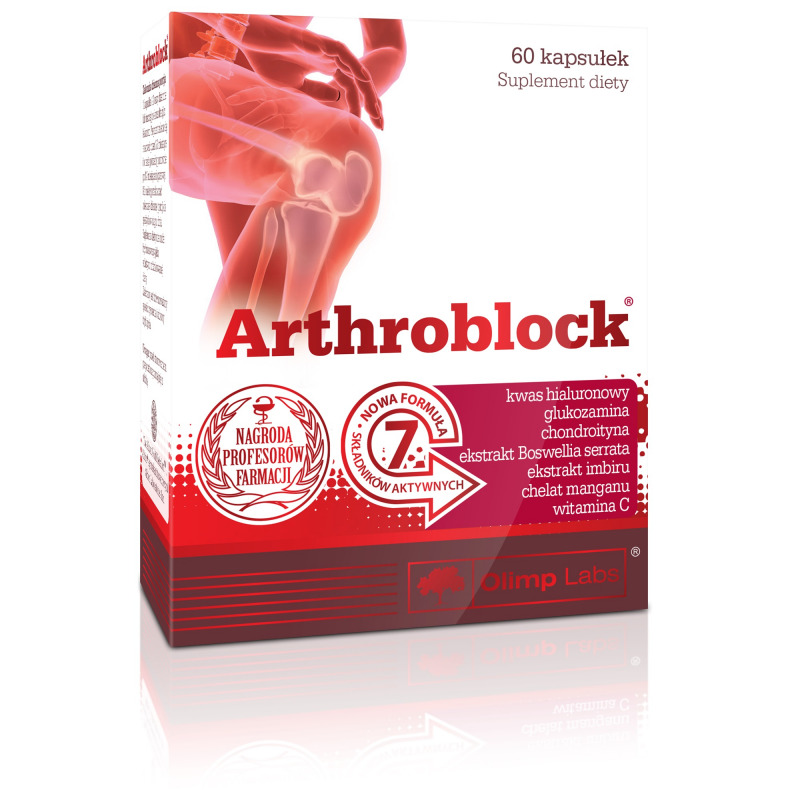 Arthroblock® is a unique food supplement which contains as many as seven active components affecting joint functioning. The product is intended especially for physically active adults exposed to joint loads such as during exercises or for those with overweight, and for elderly. Recommended daily intake: 1 capsule 1-2 times a day or otherwise upon medical advice. Use the preparation for 2-3 months and if necessary again after 1-2 months of interval. Glucosamine sulphate 2KCL (from crustaceans), chondroitin sulphate, sodium hyaluronate, Boswellia serrata extract, Zingiber officinale L. extract, L-ascorbic acid – vit. C, Albion® manganese amino acid chelate (manganese bisglycinate), microcrystalline cellulose – filling substance, magnesium stearate – anti-caking agent, gelatin – capsule sheath.